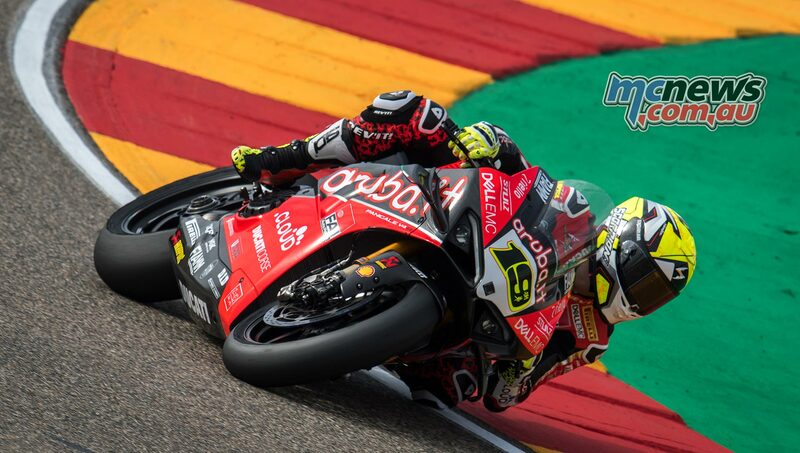 Alvaro Bautista soon got down to work at Aragon to head the field once again as he edged towards the outright WorldSBK lap record at MotorLand Aragon. Rain started to fall towards the end of the session, meaning there were little improvements in the final two minutes. 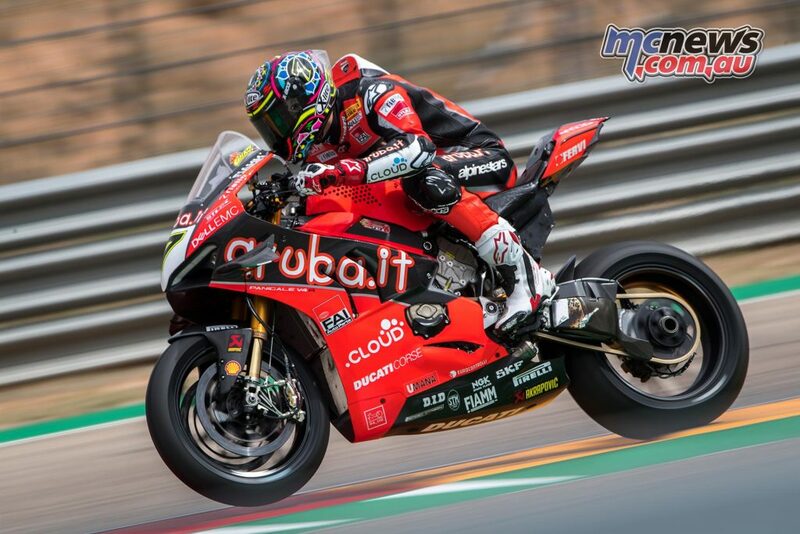 Ducati Team-mate Chaz Davies failed to improve on his time and finished in ninth position. The Welshman had a few on-track issues, so will hope that they are put to bed ahead of the races on Saturday and Sunday. 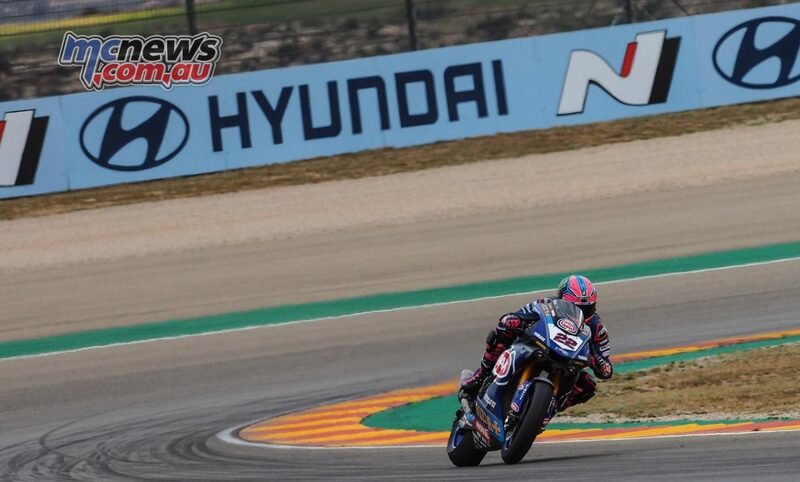 Alex Lowes (Pata Yamaha WorldSBK Team) continued his strong start to the Motocard Aragon Round, improving his time to be just over half-a-second from Alvaro Bautista’s lap time. Lowes hasn’t achieved back-to-back front row starts since the Losail International Circuit in 2017 and looks set to put the record straight. Team-mate Michael van der Mark however seemed subdued and was outside of the top ten for some of the session. In the final eight minutes, the Dutchman went tenth but would finish 12th overall. Jonathan Rea (Kawasaki Racing Team WorldSBK) continued his pursuit at the front of the field, with the reigning four-time world champion putting a good lap in towards the end of the session to cement third position and just 0.023 from Alex Lowes’ Yamaha. 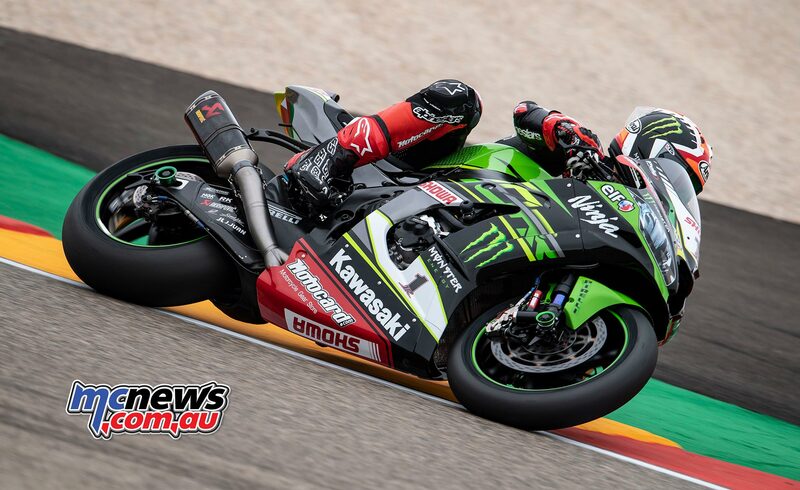 Leon Haslam (Kawasaki Racing Team WorldSBK) had a quiet session and remained towards the rear end of the top ten, placing seventh on combined times and improving his time at the end of the session. It was an impressive FP2 for 2013 WorldSBK Champion Tom Sykes (BMW Motorrad WorldSBK Team), who put in a blistering lap time at the end of the session to go fourth overall. 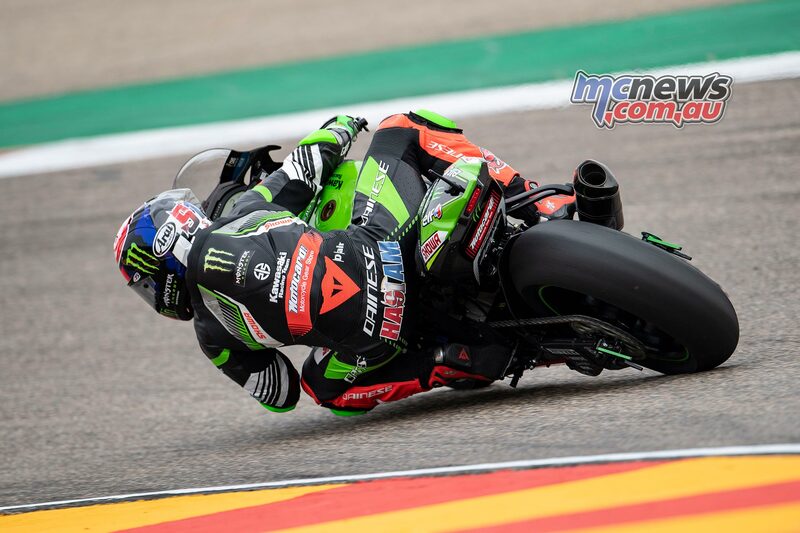 Sykes has won twice at Aragon and is looking to push the BMW further towards the pointy end of the field, pushing hard enough to suffer a small crash at Turn 1, losing the front end of the S1000RR. His teammate, Markus Reiterberger, had a much better session than in the morning. 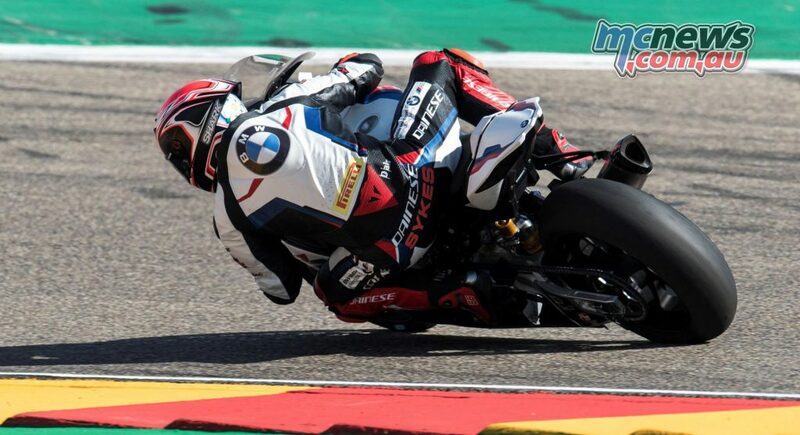 The German placed in eighth overall, as the BMW Motorrad WorldSBK Team continue to improve their bike’s aerodynamics, as well as dominating the sector times in sector three. Eugene Laverty (Team Goeleven) had his best session of the 2019 MOTUL FIM Superbike World Championship, improving to fifth overall. Top Independent rider, the Irishman has continued to build on the steps he and the team made in Thailand, making for a promising European stint of the season. Fellow Independent team rival, Sandro Cortese (GRT Yamaha WorldSBK) was just a fraction off the 2013 runner-up’s pace in sixth position. 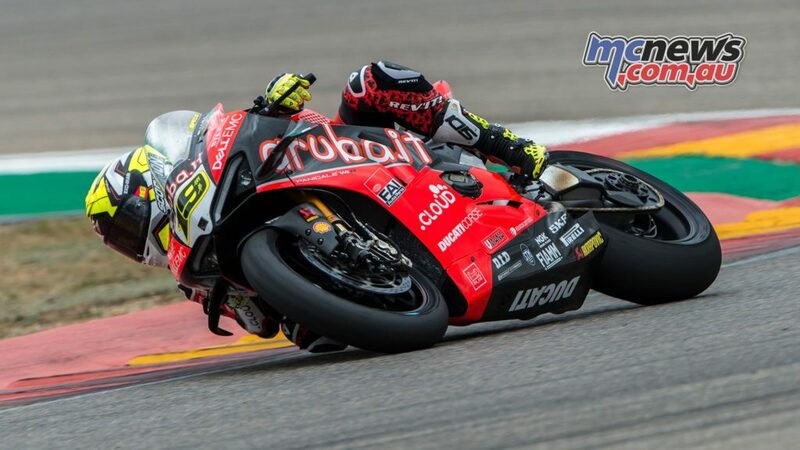 Italian rider Michael Ruben Rinaldi (BARNI Racing Team) was impressive and broke into the top ten, whilst also placing top Italian, as Marco Melandri (GRT Yamaha WorldSBK) struggled in 11th position. 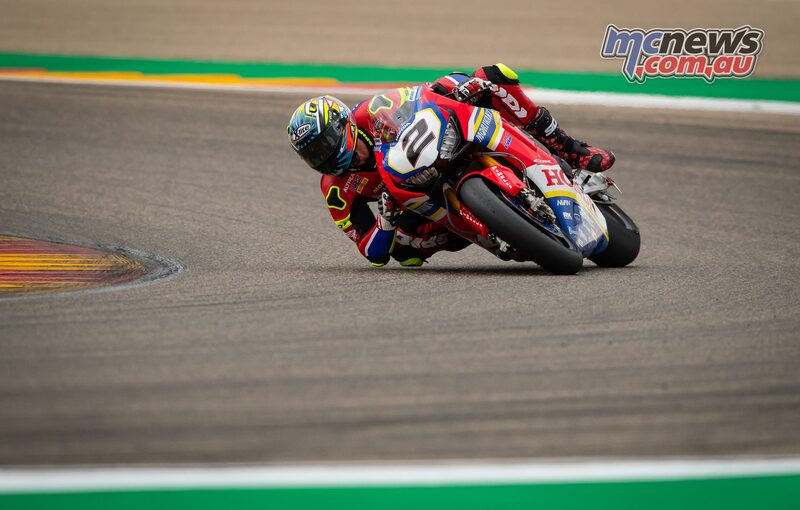 It was a disappointing day for the Moriwaki Althea Honda Team, who were 16th and 17th with Leon Camier and Ryuichi Kiyonari respectively. Outside of the top three, it was Federico Caricasulo (BARDAHL Evan Bros. WorldSSP Team). The Italian rider was 0.416s from the top spot, whilst he had close company with Hikari Okubo (Kawasaki Puccetti Racing) just 0.054s behind. 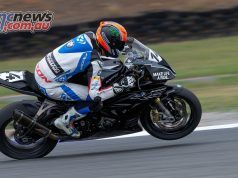 Joint championship leader Randy Krummenacher was somewhat off the pace in FP1, down in sixth position and more than half-a-second from the leading MV Agusta F3 675 of Raffaele De Rosa. 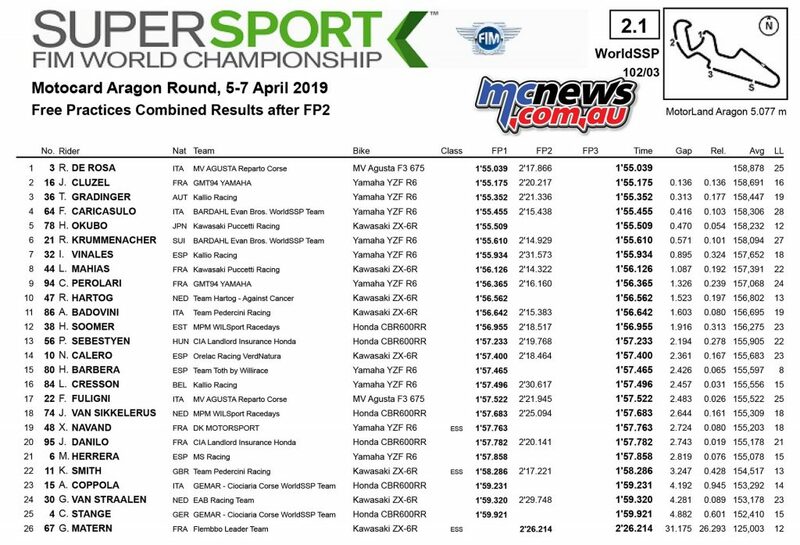 Seventh was held by Isaac Viñales (Kallio Racing) who was top Spanish rider at the close of day one of WorldSSP action. 2017 WorldSSP champion Lucas Mahias (Kawasaki Puccetti Racing) was eighth and a second off of the pace set by De Rosa. 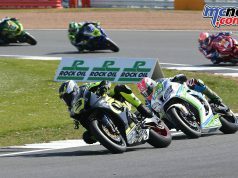 Ninth position belonged to Corentin Perolari (GMT94 YAMAHA), as the Frenchman continued to progress through the session. 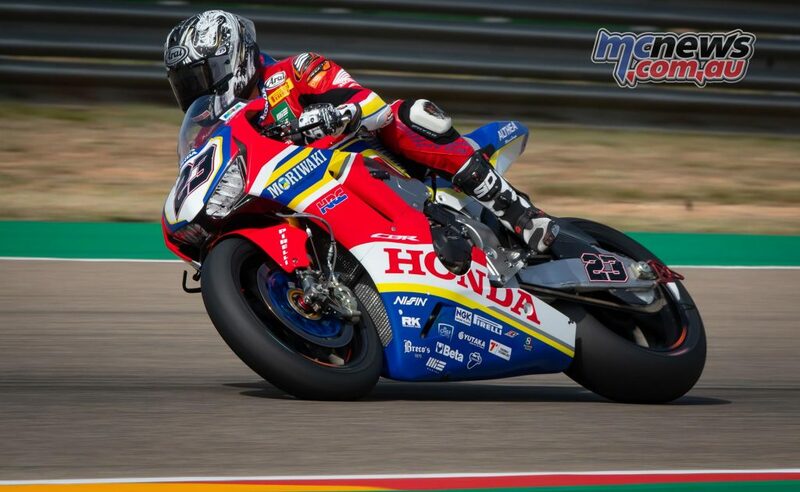 The top ten was completed by Dutch rider, Rob Hartog (Team Hartog – Against Cancer), however he will not be competing for the rest of the weekend because of an injury that had only being detected at Aragon, despite occurring at Phillip Island. 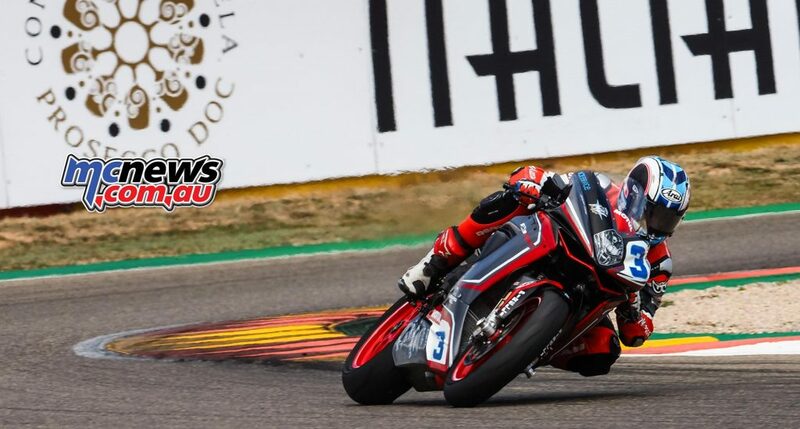 The FIM Supersport 300 World Championship returned to action at the MotorLand Aragon circuit during the Motocard Aragon Round of the season. The curtain-raiser is set to be a thriller, with two groups vying for the top time. 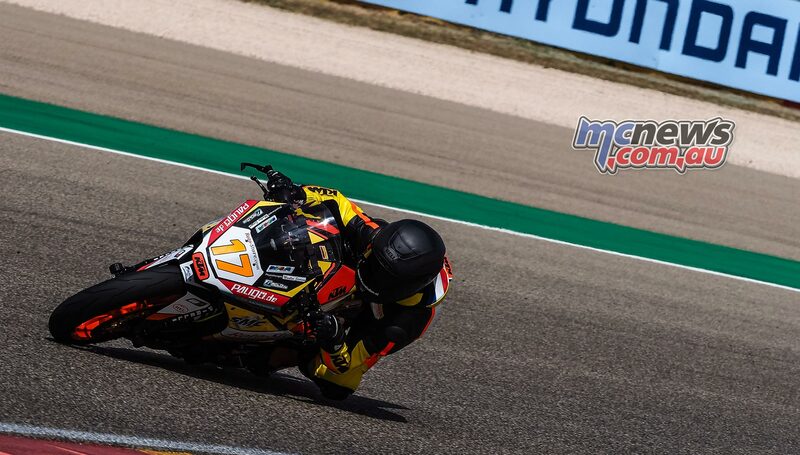 In group A, it was 2018 MotorLand Aragon race winner Koen Meuffels (Freudenberg KTM WorldSSP Team) who led the way at the end of play on Friday. The young Dutch rider returning to a circuit which holds good memories for him. Behind him, Jan-Ole Jahnig (Freudenberg KTM Junior Team) was close behind him, whilst popular Indonesian rider Galang Hendra Pratama (Semakin Di Depan Biblion Motoxracing) completed the top three. 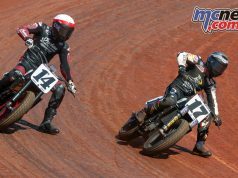 Manuel Gonzalez (Kawasaki ParkinGO Team) and replacement rider Marc Bayen Luna (Kawasaki GP Project) were fourth and fifth respectively. 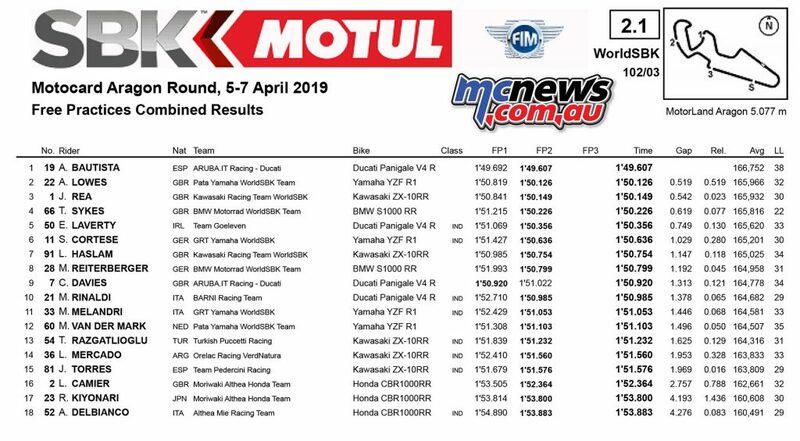 Group B featured some big names such as Scott Deroue (Kawasaki MOTOPORT), Maximilian Kappler (Freudenberg KTM WorldSSP Team) and Dorren Loureiro (Nutec – RT Motorsports by SKM – Kawasaki) making it just as competitive as Group A. At the top of the session was 18-year-old Dutch rider, Victor Steeman (Freudenberg KTM Junior Team), with a time just 0.3s off the lap record; one that would’ve been good enough for second when combined with Group A. Behind him by 0.186s was Maximilian Kappler, whilst in third position was Scott Deroue, the Dutch rider starting his season positively. 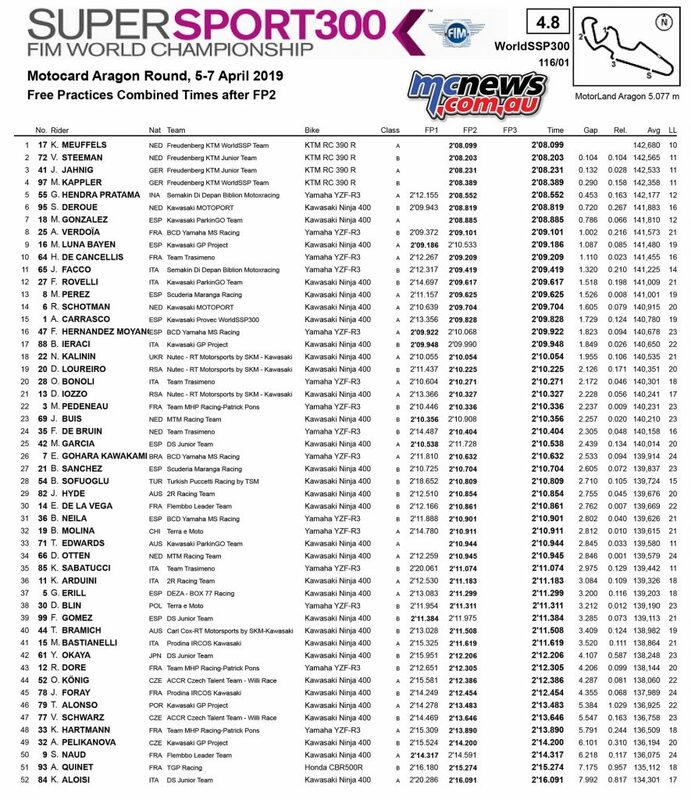 Outside of the top positions in Group A, the reigning champion, Ana Carrasco (Kawasaki Provec WorldSSP) in eighth, whilst in Group B, three-time podium finisher Borja Sanchez (Scuderia Maranga Racing) was 12th, whilst 2018 podium finisher at Imola, Kevin Sabatucci (Team Trasimeno) was 17th. The quickest Australian was Jack Hyde in 29th ahead of Tom Edwards in 33rd and Tom Bramich in P40, in what is a huge 52-strong field of rders.